This Thursday, the offices of the Regional Council of the Alt Empordà have seen the presentation of the project known as “EFA 156/16 BICITRANSCAT. Development of new cyclable and multimodal cross-border links to promote sustainable mobility”. The presentation was made by Joan Cano, Regional Councillor for Tourism, and Albert Gómez, president of the Girona Greenways Consortium. The act was attended by Véronique Olier, representing the Perpignan Méditerranée Métropole, Robert Garrabe, Vice President of the General Council of the Pyrénées-Orientales, and Francesc Cruanyes, Deputy Mayor of the Figueres City Council. The project has a budget of 4,689,269.25 euros, co-financed with 65% of European Regional Development Funds (FEDER), through the INTERREG V-A Spain-France-Andorra Programme (POCTEFA 2014-2020). The objective of POCTEFA is to strengthen the economic and social integration of the cross-border area linking Spain-France-Andorra. The funding is focused on developing cross-border economic, social and environmental activities through joint strategies aimed at promoting sustainable territorial development. The main objective of the BICITRANSCAT project is to develop a new coastal axis of cross-border sustainable mobility close to the EuroVelo 8 European cycling route, "The Mediterranean Route (Cadiz-Athens)"
The websites of the Greenways of Girona and the Pirinexus route have been fused together in one singe totally updated website, under the address www.viesverdes.cat. 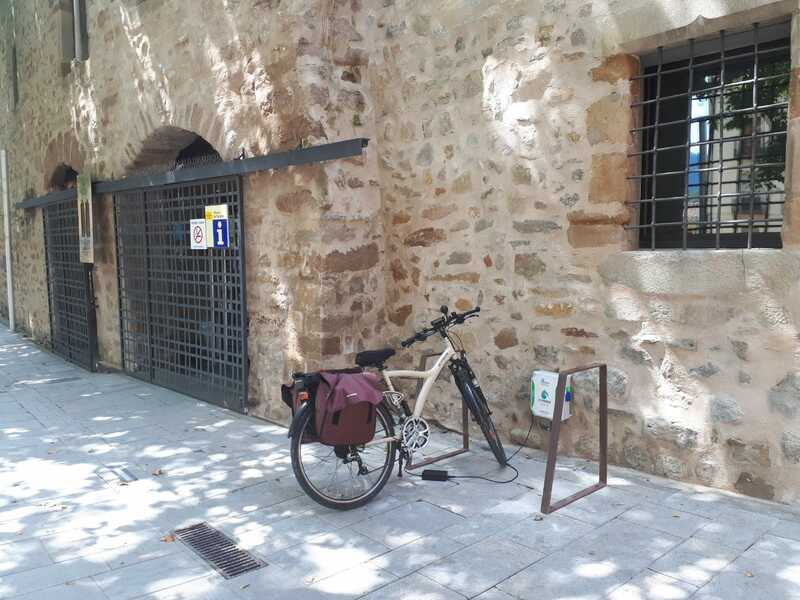 This new website provides information on all the routes managed by the Girona Greenways Consortium (part of the Regional Council of Girona), which currently covers over 350 kilometers and is in the process of being extended. One of the highlights of the new site is the incorporation of current criteria of accessibility and usability, following W3C international standards. 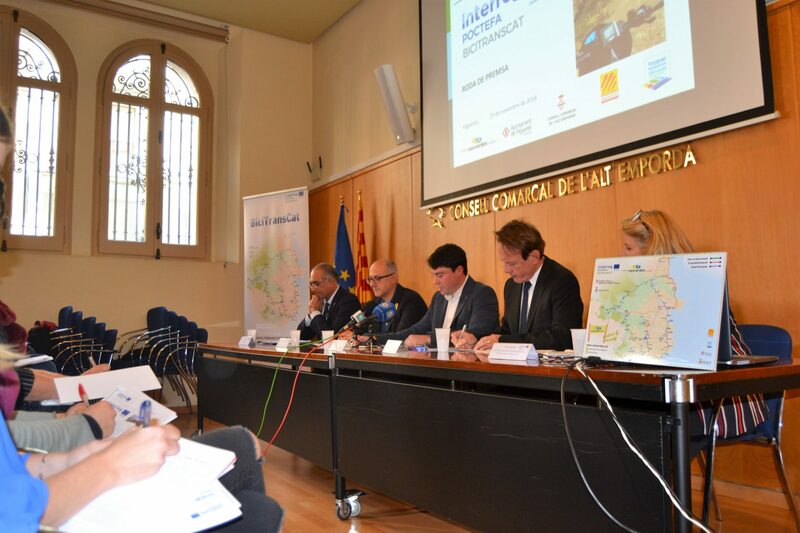 The project has been co-financed by the Strategic Tourism Plan of the Government of Catalonia, within the “Project for the improvement of the Girona Greenways as inclusive touristic infrastructures”, currently being developed by the Consortium. 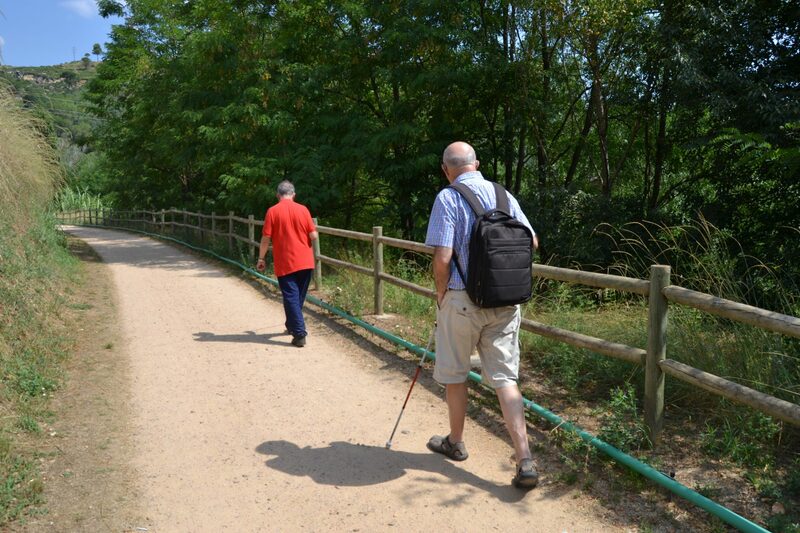 The Girona Greenways Consortium, a body belonging to the Regional Council of Girona, has completed adaptation work on the first stretch of the greenways for the visually impaired. This can be found on the route between the city of Girona, heading out from the Plaça dels Països Catalans, and the Technological Park. A horizontal guide which can be followed with a walking cane has been installed along this stretch, as well as vertical signposts with information available in braille. 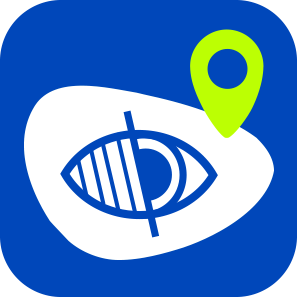 An accessible mobile app has also been designed, providing full information about the route, the history of the greenways, and the natural and cultural heritage of the area. The project has been co-financed by the Strategic Tourism Plan of the Government of Catalonia, with a total cost of 185,000 euros for all the work carried out to make the route visually accessible.